This post is an excerpt from a post on Multicultural Kid Blogs, a blog dedicated to raising world citizens through arts, activities, crafts, food, language, and love. See the link below to read the entire article. My daughter and I are going on a couple of trips to visit family this summer. As I prepare myself mentally for the upcoming plane trips, I find myself turning to my yoga practice to calm my worried thoughts. Airport waits, security clearances, a restless child, jetlag, and lack of exercise can easily lead to stress and anxiety. By sharing this post that I wrote a couple of years ago, I hope that the concept of integrating yoga into the travel experience might help both you and me to enjoy a happy, healthy, and relaxing travel experience this summer. Why do we practice yoga during travel? Yoga is a lifestyle that combines physical postures, breathing techniques, meditation, character education, positive affirmations, and service to others. It is a way of life that brings lasting benefits to many people around the world. 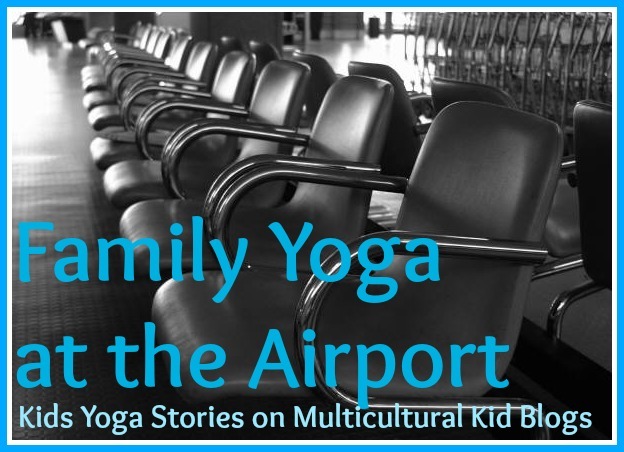 Try practicing family yoga while waiting for your plane or along your travel journeys. These coping strategies will hopefully help you withstand the stress and anxiety of travel so that you can avoid losing your temper and be ready to prevent conflict when and if it arises. Children watch our every move, so let’s be a good traveling role model. Focus on something positive, not how long you have to wait for your plane. Stretch out your body before a long flight, then again after, to relieve stiffness. Do something fun together as a family; be creative and use your imagination. Consciously relax your mind and body during the hassles of travel. Engage in nourishing activities that don’t involve electronic devices. Take time to get as much sleep as you need. Hold your children close to make them feel safe and comforted. Keep up with your regular meditation practice. Wear a tiger eye bracelet for its soothing benefits. Wear comfortable clothing and drink lots of water. Listen to your body and notice if you’re stiff or in pain. Be aware of any negative thoughts. Try thinking the opposite. Enjoy the moment, instead of yearning to arrive at your destination. Notice your breathing. Are you taking deep breaths? Be compassionate; lend a helping hand to a fellow traveler in need. Start small. Even five minutes of physical practice, breathing, or meditation is beneficial. Focus on the fun of family yoga, not on perfectly aligned poses. Find a quiet spot to practice together. If there isn’t one, just practice anywhere. Make it light-hearted and fun. Roll out a travel mat, or simply practice standing and balancing postures if you would prefer not to touch the airport carpet. Do a couple of simple chair postures in your seat. For example, Seated Twist, Knees-to-Chest, Eagle arms (arms crossed out in front of you), or Seated Forward Bend. 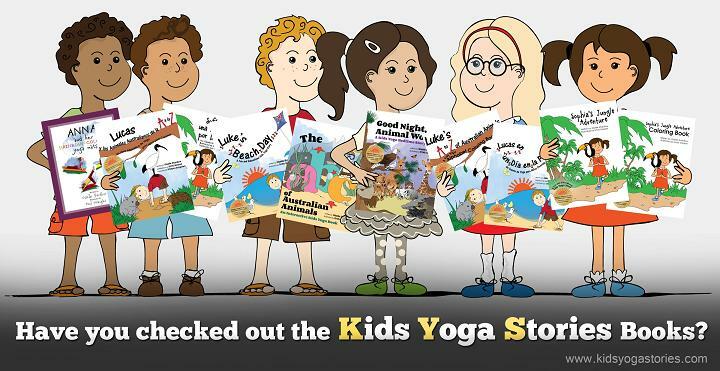 Base your family yoga experience on a pretend journey somewhere or tell a story through yoga poses for kids. Or talk about where you are going and act out a few things that you will see and do on your trip. Play together with a pack of yoga cards for kids. Read and act out a yoga book for kids. Happy travels! How do you integrate family yoga into your travel plans?